Atenolol is a blood pressure medication. It is a beta blocker, which lowers your blood pressure and makes it easier for your heart to pump your blood. Atenolol is taken on a daily basis to keep your blood pressure under control and prevent serious cardiovascular problems. You can order Atenolol from Superdrug. Our experienced online doctors provide a convenient repeat prescription service. 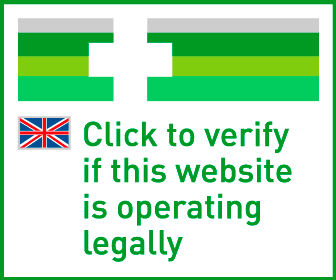 Your order is checked by a UK based doctor and your medication is sent out from the Superdrug Online Pharmacy. This service is suitable for patients who have been taking Atenolol for a minimum of three months. One of our doctors will review your order and approve appropriate treatment. 25mg, 50mg and 100mg tablets available - Prices include prescription and delivery. There are certain hormones in your body which cause an increase in your blood pressure levels by increasing your heart rate and making your heart beat harder. Beta blockers such as Atenolol tablets inhibit the action of these hormones and stop them from increasing your blood pressure. Your heart can beat slower and less hard as a result, which means that your blood pressure stays under control. In addition to being used as a blood pressure treatment, Atenolol is also used to treat conditions such as angina pectoris (which causes chest pain), irregular heartbeat and to protect the heart after a heart attack. Superdrug Online Doctor only prescribes Atenolol for blood pressure, as the other conditions require your local GP’s involvement. We only issue repeat prescriptions for patients who have been taking Atenolol for a while and whose treatment is effective. You still need to visit your local GP for regular check-ups to ensure that Atenolol is still the correct treatment for you. Please note, product packaging may differ from the image above. You need to take Atenolol once a day. Your GP may prescribe a daily dose of 50mg or 100mg. You may be prescribed a lower dose if you suffer from kidney failure. Swallow the tablet with water at the same time every day. Continue your treatment for as long as your doctor recommends it. If you stop taking Atenolol, your blood pressure is highly likely to increase again, which puts you at risk of heart attack and stroke. Speak to your doctor if there are any side effects which are bothering you or if you feel that the effect of Atenolol is too weak or too strong. Tell your doctor if you experience any side effects. For all known side effects of Atenolol tablets please read the patient leaflet supplied with your tablets.